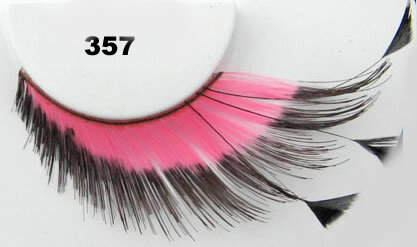 ** NEW ** Elise Faux Eyelashes #357 are gorgeous black and pink feathered lashes with tip accents. This style is similar to Sephora's Makeup Forever Erin (#115) lashes. Made by the same makers of M.A.C. and Shu Uemura faux lashes.